On sale for a limited time! Get it on Amazon! Prison couldn't destroy him. Freedom just might. Now he's at your front door. Can David quickly untangle Phillip's dark web of secrets, free him from his demons, and save the family? Or will the shocking, diabolical truth unleash a serial killer first? 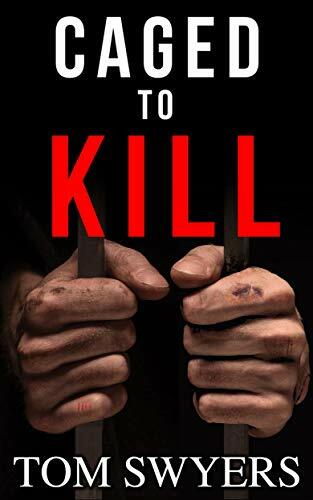 If you like gripping thrillers like Silence of the Lambs, then you're going to really enjoy Caged to Kill. Shell out a buck and buckle up! Early Readers React . . .
WOW! I truly loved it! Breathtaking psychological and poignant thriller with sublime, intriguing plot! J.L. All I can say is holy crap! This book is great! R.S. I'm blown away and cannot wait . . . to tell everyone about it." E.R. Diverse characters. Diverse tales. Sometimes intertwining. There is Salma, facing a spiritual crisis in a country steeped in dogma; Hussam - a billionaire’s son who tries but fails to conceal his gay relationship; Mohammed, a bigamist, grasping tightly to antiquated patriarchal ideals at the expense of his love life; Mike, who adopts cultural appropriation to provide him with a stable foundation when his world collapses; and the remaining characters, one per chapter, revealing the impact of collective thought matrices on the individual and vice versa. Motorbikes and Camels is a timely book that begs the question, offered to the reader by author Al-Yagout, via one of the protagonists, Zayna: Am I who I am because of my culture? Reincarnation offers a second chance. . .
. . .but it comes with strings attached. On Jay’s world coming of age is a big deal. That’s when the recollections start. Recollections are powerful dreams filled with memories of the dreamer’s previous life on Earth. They can lay the foundation of a successful second life, even change the world. Jay remembers everything of the woman he was on Earth. Ri Sun-Hui was a brilliant scientist, but she served a dictator's dark dreams. Hers was a life of misery with only a single joy—the precious daughter she would die for. Jay’s memories are beyond disturbing. They threaten to destroy his new life. Can Jay escape who he was? If you ever wonder “what if?” you’ll love this tale. Hey everyone! So, today, I am welcoming A.M. Manay, author of the paranormal November Snow Series as well as new YA fantasy release Hexborn. Below you will find an interview about her newest book. She's a fantastic writer, so definitely check it out! Banned from her parents’ yearly visits with the Merfolk, sixteen-year-old Sofi schemes to stow away the next time their boat sails. When her actions reveal a hidden truth, the plan backfires, imprisoning her mother in the mermaid queen’s lair.